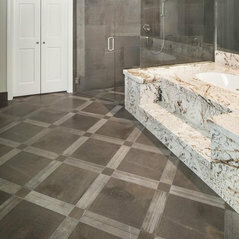 Tarkus Tile Inc. is owned and operated by Mark Christensen. I am extremely committed to doing a job right and very passionate about my craft. It's just as important to me that each job turns out perfect as it is to my customer. In business since 1998. 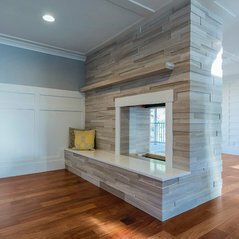 Licensed and insured contractor. Member of the NTCA (National Tile Contractors Association) Passionate Tile Craftsman, Artist and self proclaimed perfectionist. 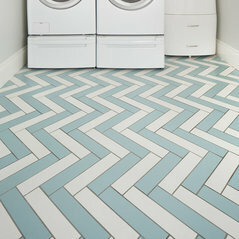 My goal is to provide a long lasting, functional and beautiful tile installation to each of my customers and to build an honest and lasting business relationship with each and every one of them. 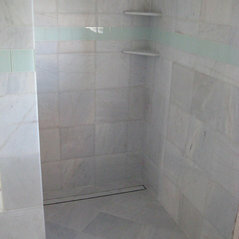 I am proficient in traditional mud float installation methods and am constantly researching, learning and practicing with new products and techniques to be able to offer the best tile installation available. I love my job and am dedicated to doing it well. 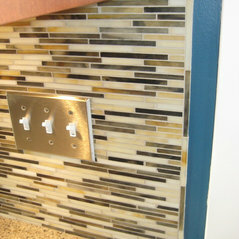 Custom Tile design and installation. Mortar floated walls and floors, complete waterproofing membrane system installation, radiant heat cable installation, linear drain installation. 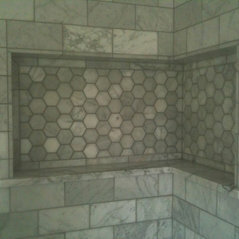 Limestone Shower with radius wall and bench. Commented: We love these vanities, where are they from? Thanks!I'm sorry but I don't know where the vanities are from. I was the tile contractor on the project. 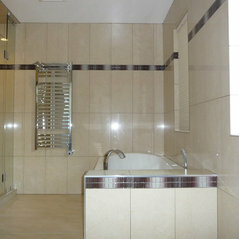 Commented: What is the tile that has been used and where is it available? Love itThis tile is called Glow Cosmos from Interceramic. 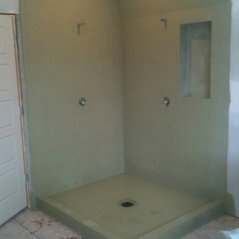 Shower was done with 6x24" tiles. 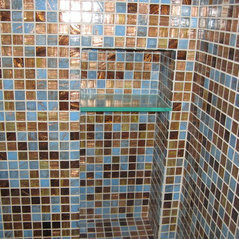 Commented: What are the dimensions of the tiles used on the shower walls?6"x24"
Commented: What color is the grout?The grout here is Mapei ultra color plus, color Silver. Commented: Tile?The blue tile is made by walker zanger, it's called ash bury. Contact WZ to find your nearest vendor. 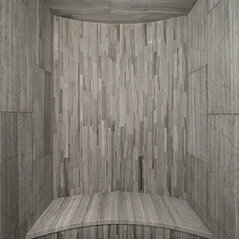 Commented: DimensionsThis shower is about 4' wide x 5' long including the bench if I recall.